To update the email address associated with your account, go to "My Account", scroll down the drop down menu to "Settings", and select "Change Email Address". If you are signed up for the weekly newsletter, you will need to update your email address using a link provided in each weekly email. 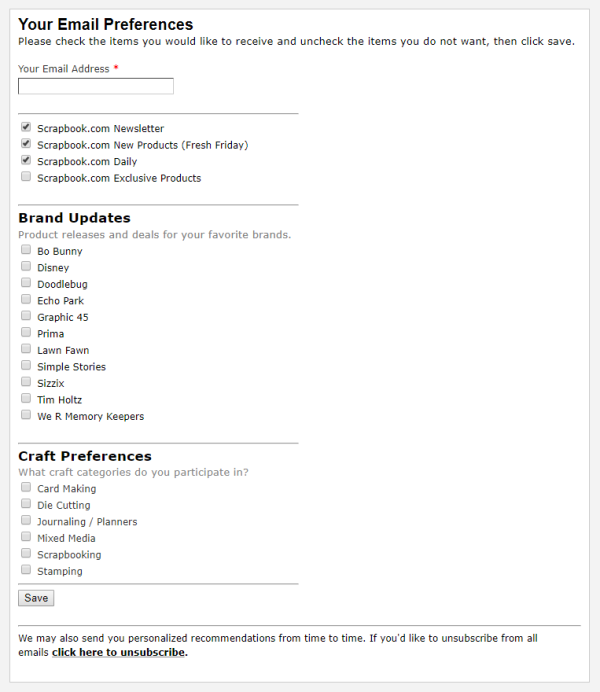 Scroll to the bottom of the page and select Update My Email Preferences. In the email preferences page is an area to update your email address at the top of the page. Once you have updated your email click Save. For any further questions or concerns, please contact our support team here.